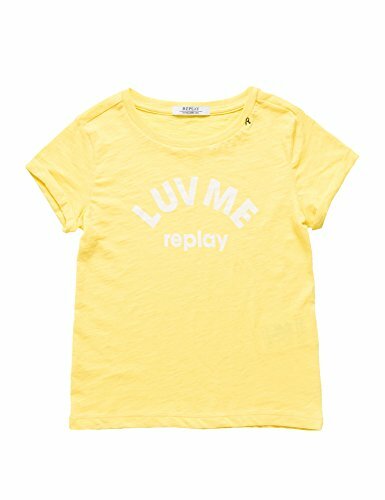 Light Slub Jersey girl's short sleeve t-shirt, by Replay in yellow color, with round neckline and logo stamp on the front. Combine it with short skirt or denim pants. shirt, by Replay in yellow color, with round neckline and logo stamp on the front. Combine it with short skirt or denim pants.